Welcome to the five hundred and fifty-sixth of my blog interviews with novelists, poets, short story authors, biographers, agents, publishers and more. Today’s is with mystery and non-fiction author Linda Mickey. A list of interviewees (blogged and scheduled) can be found here. If you like what you read, please do go and investigate further. Linda: And hello to you. Writers are readers and that is certainly true of me. Thanks to my parents, reading is almost as much a part of me as breathing so storytelling became part of my nature. One day I had a run-in with my boss over something I felt was terribly unethical and something he had claimed, just weeks before, he would never do. I was furious. I don’t think I’ve ever been so angry. I came home and killed him – on paper. Morgen: I love that. I say I usually have a body in most of my stories and I killing someone (legally) is fun. Linda: When my blood pressure returned to normal, I had about 10 pages. A year later, I decided I should try to do something with them. I am based in the Chicago area, which is great because there is an active writing community here. Morgen: A chap who used to come to our writing group is from Chicago (he married a Brit). It does sound like a great place. What genre do you generally write and have you considered other genres? Linda: I write mystery because that is what I read for years. I have toyed with sci-fi / fantasy but my heart is that of a problem-solver. I just love writing puzzles. Linda: There are four books in the Kyle Shannon mystery series and I am working on the plot for the fifth. Plus, at the behest of two local librarians, I wrote Dollars and Sense for Writers as a guide to the business side of our venture. Morgen: The business side is probably the most tricky, certainly for many. You’ve self-published, what lead to you going your own way? Linda: The paradigm was shifting when I came into the arena in 2002. No one foresaw the approaching ebook phenomenon but supported self-pub print companies were popping up everywhere. Years ago I got some advice from a banker – be very careful before you sell the rights to your work to anyone. He was talking about something totally unrelated to writing but I never forgot it. Not selling my rights meant I had to self-publish. Morgen: Ah yes, there are companies out there that will take advantage of those who don’t know what they’re doing (and those who do), so associations like The Society of Authors (and the likes) are invaluable. Are your books available as eBooks? Do you read eBooks or is it paper all the way? Linda: All my books are available as ebooks. But I don’t “read” much at all; I listen. I love audio books. They accompany me in the car during a commute or they entertain me while I clean the house. Morgen: Audiobooks are my favourite format because I can multi-task. Do you have a favourite of your books or characters? If any of your books were made into films, who would you have as the leading actor/s? Linda: No favourites. I enjoy exploring all my characters because I want to understand their motivation. As for casting, I’d leave that to the professionals. After all, Tom Selleck was originally offered Indiana Jones but can anyone picture someone other than Harrison Ford in the role? Morgen: Was he? I’d not heard that. I can’t say I’d have picked Tom, although I think he’s a great actor (perfect for Magnum PI). Did you choose the titles / covers of your books? How important do you think they are? Linda: A newly-published writer once confessed to me that she was heart-broken over the cover on her first book. The cover was designed to attract readers but it had little to do with the content. Control is just one advantage of being self-published. The talented artists with whom I work are another happy part of self-publishing. Watching the covers come to life thanks to my photographer and my graphic artist is a delight. Morgen: A cover has to do both (represent and inspire), doesn’t it, or the reader will invariably feel cheated. What are you working on at the moment / next? Linda: Two projects currently have my attention – writing the 5th Kyle Shannon mystery and making time to do more social networking. I love hearing from my fans and I want to explore new ways to do that. Morgen: Social networking, although great I think, eats time so finding a balance is important (pot, kettle, black). Do you manage to write every day? Do you ever suffer from writer’s block? Linda: Writing something every day is a must however it isn’t always for the next novel. I have two blogs plus there are wonderful marketing opportunities like this one. As for writer’s block, I think we all get stuck now and then. It comes with the territory. Morgen: There are points where we wonder what happens next and coming back to it later certainly helps. Do you plot your stories or do you just get an idea and run with it? Linda: I plot. Mysteries are word puzzles so one must have an idea of how the pieces will fit together. That said, I may make changes along the way. Morgen: I find my characters often develop the story. Do you have a method for creating your characters, their names and what do you think makes them believable? Linda: Character names are fun. I usually turn to the obituaries to find them: a first name here, a surname there. In my first novel, most of the surnames came from a travel brochure. Morgen: What a good idea. I’d not thought of those for inspiration. Do you do a lot of editing or do you find that as time goes on your writing is more fully-formed? Linda: Editing is a must for any writer. Even JK Rowling admits she should have done more of it. Frankly, I love the editing and rewrite process. That’s when the story comes alive. Morgen: Do you? I’m more a fan of the first draft, the something out of nothing, although having edited The Serial Dater’s Shopping List seven times (and whittled it down from 117K to 101K) and had two others look at it, it may have tired me of the editing process, although I’m very proud of the end result. 🙂 Do you have to do much research? Linda: Kyle is an office temporary worker. She finds herself assigned to a different place in each book so I research the industry in which I am about to place her. In Defective Goods, she works for a paint manufacturer, for Horse Power, she is at a stable, and in Help Wanted, she works inside the temp agency. Luckily I have plenty of friends who are dying to tell me the secrets of their workplace. I include a hint at the end of each book for where Kyle will be assigned in the next one. Morgen: I was a temp most of my working life (says she at 45 as if I don’t work any more but I’m immersed in writing at home so it doesn’t feel like work) and there’s plenty of inspiration there. 🙂 What point of view do you find most to your liking: first person or third person? Linda: Kyle tells her story in first person. My first novel (which was dreadful) was written in omniscient third. I found that too difficult to control. Some genres lend themselves to a specific point of view better than others. Morgen: That’s really interesting. Most writers, readers (and therefore agents / publishers) prefer third person although first person from one character’s point of view is more intimate. Please tell us more about your non-fiction. 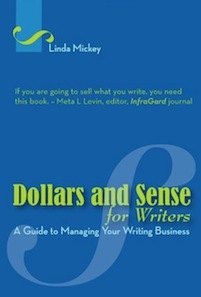 Linda: Two local librarians suggested I wrote a non-fiction book Dollars and Sense for Writers: A Guide to Managing Your Writing Business. It is nearly time for a second edition. Plus I occasionally contribute articles to magazines. Linda: That first novel I mentioned truly was awful. There is a collection of short stories sitting on my computer. They need polishing and that I may publish some of them one day. Morgen: I have hundreds of shorts (three collections of flash fiction planned for before Christmas) and think that when I have a minute 🙂 I’ll go through them and whip them into shape. Have you had any rejections? If so, how do you deal with them? Linda: Every rejection I received was deserved. As a novice, I sent out my work before it was ready. I would have rejected me, too. Part of being a mature writer is looking at one’s work and knowing whether or not it is ready for market. Morgen: It is indeed. Do you enter competitions? Are there any you could recommend? Linda: No and no. I encouraged my graphic artist to enter the D&S cover in a contest but she didn’t do it. I love that cover and I think it might have won something. Morgen: What a shame. Maybe it’s not too late. Do you have an agent? Do you think they’re vital to an author’s success? Linda: One cannot enter certain segments of the marketplace without an agent. It is up to the writer to decide whether or not that area (commercial publishing, film, etc) is the right place for the writer at that time. Agents are like realtors. It is possible to sell a house without one but is being independent appropriate for a specific market and time? Linda: One of the toughest challenges a writer faces is balancing their writing time against their marketing time. If a writer is marketing, he isn’t writing. If she is writing, she isn’t selling. We all do our best to find the best mix. That’s why things like this blog are so helpful and so important. Morgen: That’s really hard, finding the balance and ‘marketing’ is usually the answer to the ‘least favourite’ part of my next question for that very reason… What’s your favourite / least favourite aspect of your writing life? Has anything surprised you? Linda: I had no idea I would love it so much. The least favourite thing about writing is that I don’t have enough time to devote to it. I still have an outside job, which, luckily, I also love. The best part is learning. Thanks to my writing, I now have two DNA scientists and several law enforcement officers I count as friends. They’ve all been very helpful with the accuracy of the procedures and science in my books plus they’re great fun. Morgen: Time is a killer. I struggle with it every day. How wonderful having those contacts. Some of the writers that contact me for interviews are in (or have been in) perfect jobs that I should pick their brains. A forthcoming author (687. Horror-turned-crime writer Andrew Barrett) has given me some great advice (for my current NaNoWriMo project) on undertakers and mortician workers. 🙂 What advice would you give aspiring writers? Linda: Writers write. So write because you have to, because you can’t imagine a day without putting things into words. If you love it, you’ll write no matter what. And if you are doing something you love, eventually you’ll find a way to generate income from it. Morgen: I’m still working on the latter (having two lodgers helps buffer that). I need something like NaNoWriMo to make me write chunks (although I’m way behind at the moment) but I’ve been writing a daily short story for my 5pm fiction slot since June and I love it. That’s on hold until the end of the year (because of NaNo and getting various eBooks online) but I’m looking forward (though not wishing my time away, it’ll be here soon enough) to writing every day again. If you could invite three people from any era to dinner, who would you choose and what would you cook (or hide the takeaway containers)? Linda: Rex Stout, Agatha Christie, and Arthur Conan Doyle, or Queen Elizabeth, Queen Victoria, and Catherine the Great, or Thomas Jefferson, Harry Truman, and JFK. The lists could go on. There are so many fascinating people in history. As for the food, I have no idea. I’d leave that to the caterer. Morgen: Good plan. Is there a word, phrase or quote you like? Morgen: I like that. Are you involved in anything else writing-related other than actual writing or marketing of your writing? Linda: Teaching and speaking. I facilitate a number of workshops that are writing-related. In addition to sharing what I’ve learned, it’s great fun meeting new people. Linda: Between working, writing, and family, there isn’t much time for anything else. That’s why I love audio books. When weather permits, we head outside for walking or grilling. Morgen: I have a dog so he gets me outside although if he can hear the rain he won’t go over the threshold! Are there any writing-related websites and / or books that you find useful? 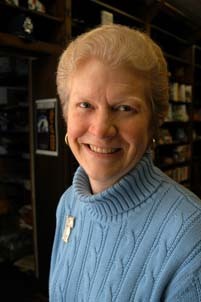 Linda: I keep track of industry news at www.publishersweekly.com. From there, I often follow links to articles on other sites (like The Guardian or The New York Times) that relate to the business of writing. I am intrigued, for example, that Amazon gets itself into as much trouble in the EU as in the US. I also like http://grammar.quickanddirtytips.com . It’s a great place to go for instant help on how to handle one of our goofy language rules. Morgen: It is and she does a great podcast. Are you on any forums or networking sites? If so, how valuable do you find them? Linda: LinkedIn, AuthorDen, Facebook, crimespace, etc. They are all valuable and I wish I had more time for them. In addition to marketing myself, I find fascinating new “friends”. 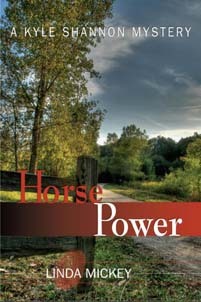 Imagine my delight when I discovered an Italian reader had reviewed Horse Power on Smashwords. The Web joins us together – as demonstrated by this blog. Morgen: It’s wonderful, isn’t it. Although I’d undoubtedly have more written if I hadn’t started this blog (or put a shout-out on LinkedIn for interviewees) I wouldn’t have met so many great writers and for me, the best thing after actually writing is talking about it. 🙂 What do you think the future holds for a writer? Linda: A crystal ball would be helpful here. We once shared information and stories orally around camp fires. Now we use the Internet and digital devices. Writing will always exist in one form or another because we will always want to share our thoughts and our knowledge. Morgen: It’s an exciting time, certainly. Where can we find out about you and your writing? Linda: www.lindamickey.com, www.dollarsandsense4writers.com, Smashwords.com, http://lindamickey.blogspot.com, any of the author sites at Internet retailers’ sites and fan sites. And many others. Linda: Not ask, but say. Thank you for the opportunity to share with you and your readers. Morgen: Oh you’re so welcome, great to have you here. Thank you, Linda. Sunny’s hindquarters seemed spring-loaded his hooves hit the wall so fast. Driven by twelve hundred pounds of raging equine, the kick connected with such force the vibration traveled through the cement and tingled in my legs. The gelding tossed his head, his nostrils flaring with each exhale of hot breath. His hooves battered the stall wall again. Ears pinned, his eyes rolled back until the whites showed. When the volley ended, Sunny’s chest heaved like he’d won the Preakness. Isabella Villano, second in command at Bright Hope Equestrian Center, charged around the corner and came to an abrupt halt in front of me. She wasn’t tall enough to look me in the eye but her anger propelled her to nearly my height. I backed up a step. She glanced at the black text surrounded by a border of purple and gray. It read Sunny Disposition, Owner: Sal Fabrini. “Very nice.” Izzy glared as she crunched the paper and dropped it to her feet. Sunny circled away and stopped in the back corner of the stall, lather glistening on his chest. Speaking in a low monotone, Izzy stepped gradually into the stall, her right hand extended. She kept up the soothing babble as she approached and touched Sunny’s neck. He dropped his head and let her rub his muzzle. As suddenly as it began, his raging ceased; here and gone in minutes like the passing of a midday summer storm. The holidays have arrived but Kyle Shannon isn’t feeling festive. Her lover may be leaving, and her friend Tiffany is in the financial pits. Things aren’t right at Office Right, either. On assignment within the company, she finds bottoming sales, temps with attitude, and a boss as frosty as a snowman. Then somebody murders a manager and all the ho-ho-ho goes up the chimney. Forced to add “find the killer” to their holiday wish list, Kyle and Detective Ian Page face a jumble of confusing facts until a tragic accident forces them to look at the case from a new perspective. This Christmas will be a slay-ride for sure. Linda Mickey worked her way up from bank teller to Chicago region project manager for a Fortune 500 staffing company. 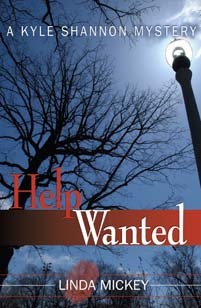 Like her protagonist, Kyle Shannon, she was employed by a staffing agency. After a career in which she saw everything from knife-toting secretaries to drunken vice presidents, Mickey had plenty of motive to write a mystery series featuring a temporary office worker. During her more than fifteen years in the corporate business environment Linda Mickey augmented her formal education with plenty of practical experience. Now working for a small accounting firm, she regularly sees the importance of companies following sound business practices.